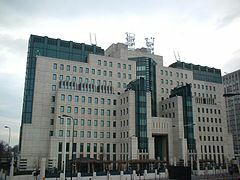 The SIS Building or MI6 Building at Vauxhall Cross houses the headquarters of the Secret Intelligence Service (SIS, MI6), the United Kingdom's foreign intelligence agency. It is located at 85 Albert Embankment in Vauxhall, a south western part of central London, on the bank of the River Thames beside Vauxhall Bridge. The building has been the headquarters of the SIS since 1994. The SIS had previously been based at Century House, a 22-storey office block on Westminster Bridge Road, Lambeth, near Lambeth North and Waterloo stations. The location of the headquarters was classified information, though The Daily Telegraph reported that it was 'London's worst-kept secret, known only to every taxi driver, tourist guide and KGB agent'. Century House was described as "irredeemably insecure" in a 1985 National Audit Office (NAO) report with security concerns raised in a survey; the building was made largely of glass, and had a petrol station at its base. Security concerns combined with the remaining short leasehold and cost of modernising the building were important factors in moving to a new headquarters. The site on which the SIS building stands had been the location of the Vauxhall Pleasure Gardens in the 19th century. 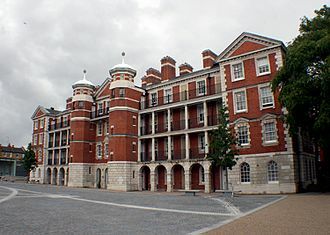 Several industrial buildings were subsequently built on the site after the demolition of the pleasure gardens in the 1850s, including a glass factory, a vinegar works and a gin distillery. Archeological excavation of the site during building found the remains of 17th-century glass kilns, as well as barge houses and an inn called The Vine. Evidence was also found for a river wall on the site. Regalian approached the government in 1987 to assess their interest in the proposed building. In 1988 Prime Minister Margaret Thatcher approved the purchase of the new building for the SIS. The NAO put the final cost at £135.05 million for site purchase and the basic building or £152.6 million including the service's special requirements. The site is rumoured to include a tunnel from the building to Whitehall. The numerous layers over which the building is laid out create 60 separate roof areas. 25 different types of glass were used in the building, with 130,000 square feet (12,000 m2) of glass and aluminium used in the building's construction. The windows in the SIS building are triple glazed for security purposes. Due to the sensitive nature of MI6's work, large parts of the building are below street level, with numerous underground corridors serving the building. Amenities for staff include a sports hall, gymnasium, aerobics studio, a squash court and a restaurant. The building also features two moats for protection. 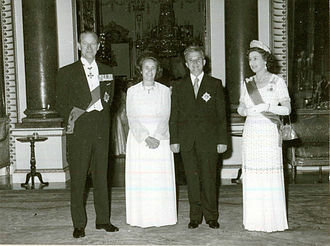 The building was completed in April 1994 and officially opened by Queen Elizabeth II accompanied by Prince Philip, Duke of Edinburgh, in July of that year. In September 2000 the building was attacked by unapprehended forces using a Russian-built RPG-22 anti-tank rocket, causing superficial damage. The Metropolitan Police recovered the discarded rocket launcher at Spring Gardens park in Vauxhall, as well as finding remains of the rocket which had exploded against an eighth floor window. Dissident Irish Republicans were believed to have been behind the attack. 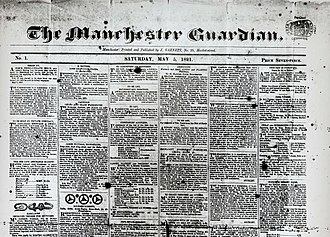 Writing in The Daily Telegraph after the attack, Alan Judd referred to detractors who wished a less visible physical presence for SIS; writing that "Both sides of the Whitehall debate might now claim vindication by the rocket attack: on the one hand, the building's profile made it an obvious target; on the other, a headquarters with expensive security protection has been shown to be necessary." 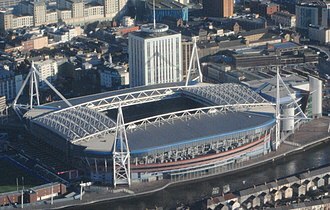 On 1 June 2007 the building and its curtilage were designated as a protected site for the purposes of Section 128 of the Serious Organised Crime and Police Act 2005. The effect of the act was to make it a specific criminal offence for a person to trespass onto the site. 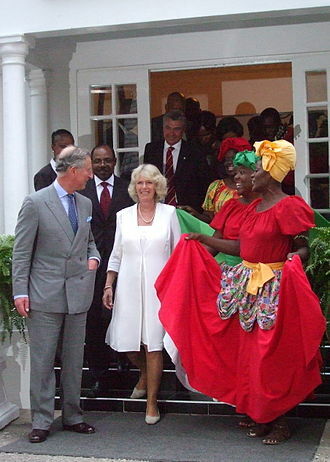 The Queen visited Vauxhall Cross for a second time in February 2006, and Charles, Prince of Wales visited in July 2008. In June 2013 Prince Harry visited Vauxhall Cross and was given a briefing on intelligence by staff. During the Thames Diamond Jubilee Pageant, part of the celebrations for the Diamond Jubilee of Elizabeth II in 2012, the London Philharmonic Orchestra played the "James Bond Theme" as they passed the building. 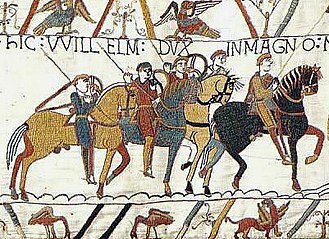 The Daily Telegraph wrote that "Even MI6 managed to join the party – just. Its headquarters at Vauxhall sported a few discreet rows of bunting. But its balconies remained empty." The building was lit with pink lights to raise awareness of breast cancer in 2013. 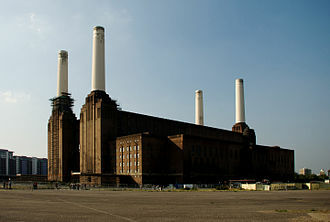 In January 2013 the building was briefly put into a state of alert after the Vauxhall helicopter crash. Some see this building as Farrell's most controlled and mature building – a rich diet, certainly, but not a cacophony of rhetorical features, nor without the unselfconscious virtuosity which can uplift and excite. But it is undoubtedly too Gotham City for the taste of many. Farrell's many critics and opponents [...] would call it a nightmare: a secret service fortress, provided by a private speculator, designed by an avowed populist, and sited on a most prominent river location. Indubitably, it is a bizarre phenomenon. Feargus O'Sullivan on the other hand mentioned the nickname "Ceaușescu Towers" for the building, referring to the oversized pompous architecture of Socialist Romania, and derided the whole neighbourhood of newly constructed buildings in Vauxhall as "Dubai-on-Thames". Vauxhall Cross has featured in several recent James Bond films. The building was first featured in Goldeneye in 1995 and was depicted as having been attacked in The World Is Not Enough (1999), Skyfall (2012), and Spectre (2015). For Skyfall a 50-foot-high (15-metre) model of the building was constructed at Pinewood Studios. A special premiere of Skyfall was held at Vauxhall Cross for MI6 staff, who cheered when their headquarters was destroyed in the film. Filming for the twenty-fourth Bond film, Spectre, took place on the Thames near Vauxhall Cross in May 2015. ^ Watson-Smyth, Kate (21 September 2000). "MI6 Building is Rocked by Two Explosions". The Independent. Retrieved 12 March 2015. Two explosions rocked the MI6 building in Vauxhall Cross, central London, last night. ^ "Spooks on Stella". The Guardian. 10 June 2004. Retrieved 17 June 2008. ^ a b Philip Johnston (22 September 2000). "The very public face of the secret service". The Daily Telegraph. Retrieved 9 November 2014. ^ Carla Power (22 September 2000). "Mission: Possible". Newsweek. Retrieved 11 November 2014. ^ a b c d e Alan Judd (24 September 2000). "One in the eye for the Vauxhall Trollop". The Daily Telegraph. Retrieved 9 November 2014. ^ "Top 10 Spy Sites in London". londonist.com. 22 November 2011. ^ Corera 2012, p. 321. ^ a b c d e f g h i j k "Buildings – SIS (MI6)". SIS. Archived from the original on 4 July 2015. Retrieved 26 December 2013. ^ "Lords Hansard: Written Answers Thursday 20th April 1995". Hansard. Retrieved 17 August 2016. 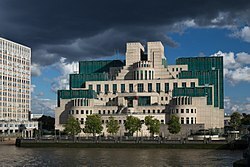 ^ a b "MI5 and MI6 Thames-side headquarters could be moved into other government buildings in Whitehall". The Independent. 20 October 2015. Retrieved 20 October 2015. ^ a b Kenneth Allinson; Victoria Thornton (12 May 2014). Guide to London's Contemporary Architecture. Elsevier. p. 58. ISBN 978-1-4832-7834-6. ^ "Explore life at SIS". Secret Intelligence Service. Retrieved 17 August 2016. 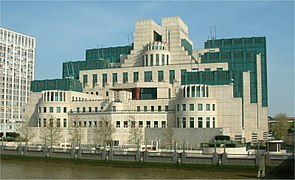 ^ "MI6 building 'like a fortress'". CNN. 21 September 2000. Archived from the original on 11 November 2014. Retrieved 16 November 2015. ^ "'Rocket' theory over MI6 blast". BBC News. 21 September 2000. Retrieved 26 December 2013. ^ Kim Sengupta (21 September 2000). "Missile launcher in MI6 attack was new to UK". The Independent. Retrieved 26 December 2013. ^ James Meikle (1 August 2010). "Two men held over MI6 and Downing Street parcel bombs". The Guardian. Retrieved 26 December 2013. ^ "Court Circular", The Times, London, 9 July 2008, pg. 55. ^ Alice Philipson (7 June 2012). 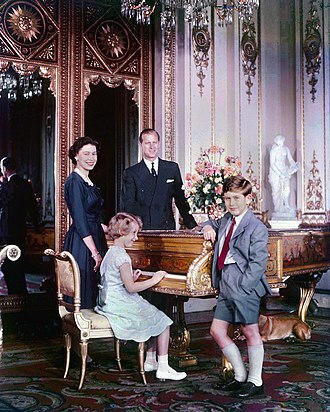 "Prince Harry given briefing by MI6 secret agents". The Daily Telegraph. Retrieved 9 November 2014. ^ Neil Tweedie (4 June 2012). 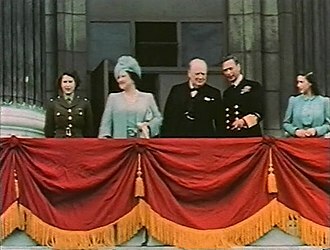 "The Queen's Diamond Jubilee: Flotilla sails into history books on a river of goodwill". The Daily Telegraph. Retrieved 9 November 2014. ^ Gordon Rayner (3 June 2012). 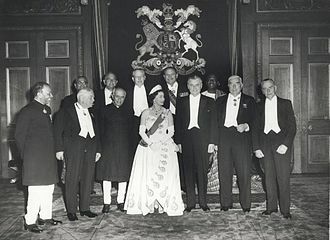 "The Queen's Diamond Jubilee: Happy and glorious, the river Queen". The Daily Telegraph. Retrieved 9 November 2014. ^ "Iconic landmarks turn pink for breast cancer campaign". The Daily Telegraph. Retrieved 9 November 2014. ^ Gordon Rayner; Duncan Gardham; Andrew Hough (16 January 2013). "Helicopter crash: 'miracle' of how so few died when fire rained down on the rush hour". The Daily Telegraph. Retrieved 9 November 2014. ^ O'Sullivan, Feargus (15 December 2017). "America's Passive-Aggressive New Embassy Arrives in London". CityLab. The Atlantic. Retrieved 19 December 2017. ^ Philip French (28 November 1999). "James'll fix it ... as usual". The Guardian. Retrieved 26 December 2013. ^ Philip French (28 October 2012). "Skyfall – review". The Guardian. Retrieved 26 December 2013. ^ Corera 2012, p. 322. ^ "James Bond fans see filming of Spectre on River Thames in London". BBC News. 18 May 2015. Retrieved 20 May 2015. Corera, Gordon (2012). MI6: Life and Death in the British Secret Service. London: Phoenix. ISBN 978-0-7538-2833-5. The Palace of the Parliament is the seat of the Parliament of Romania. 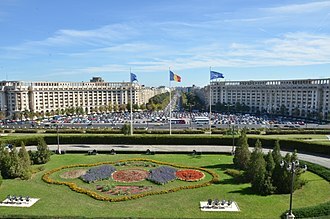 Located on Dealul Arsenalului in central Bucharest, it is the second-largest administrative building in the world, in terms of weight, the Palace of the Parliament is the heaviest building in the world, weighing in at around 4,098,500,000 kg. A colossal parliament building known for its ornate interior composed of 23 sections, it houses the Senate, the National Museum of Contemporary Art, the Museum of Communist Totalitarianism and the Museum of the Palace are hosted inside the Palace. Though named the House of the Republic, after the Romanian Revolution in 1989 it became known as the Peoples House. 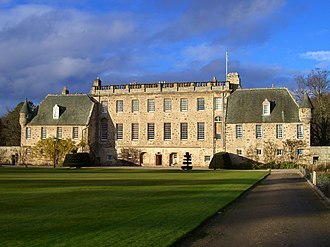 Due to its impressive endowments, conferences and other events are organised by institutions and international bodies. In 1990, Australian business magnate Rupert Murdoch wanted to buy the building for US$1 billion, as of 2008, the Palace of the Parliament is valued at €3 billion, making it the most expensive administrative building in the world. 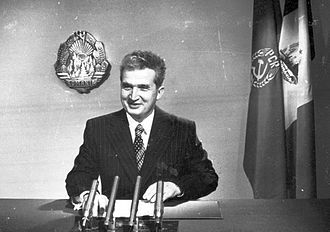 The cost of heating and electric lighting alone exceeds $6 million per year, after the earthquake of 4 March 1977, Nicolae Ceaușescu started a reconstruction plan of Bucharest, and the Peoples House was the center of this project. Named Project Bucharest, it was a project of Ceausescu spouses began in 1978, as a replica of Pyongyang. A systematization project existed since the 1930s for the Unirii–Dealul Arsenalului area, for its construction was organized a contest, won by Anca Petrescu, appointed chief architect of the project. At that time, Anca Petrescu was just 28, the team that coordinated the work was made of 10 architects, that have subordinated other 700. The actual construction began on 25 June 1984, the inauguration of the work was attended by Ceaușescu. The building was erected on the site of some monasteries that were demolished, in this area were located the National Archives, Văcărești Monastery, Brâncovenesc Hospital, as well as about 37 old factories and workshops. Demolition in Uranus area began in 1982,7 km2 in the old city center were demolished, and 40,000 people were relocated from this area. Albert Embankment is part of the river bank on the south side of the River Thames in Central London. It stretches approximately one mile northward from Vauxhall Bridge to Westminster Bridge, unlike Bazalgettes Thames Embankment, the Albert Embankment does not incorporate major interceptor sewers. This allowed the southern section of the embankment to include a pair of tunnels onto a slipway, named White Hart Draw Dock. This is contrary to the myth that the dock was built and used by the nearby Royal Doultons pottery works to transport clay and finished goods to. From spring 2009, refurbishment of White Hart Dock commenced as part of a public art project being delivered by Lambeth council. 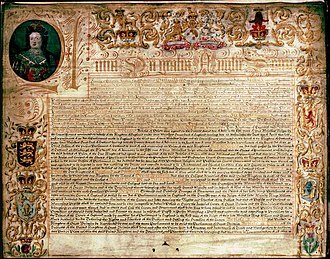 Some of the land was sold to the trustees of St Thomas Hospital. To the north of Lambeth Bridge, the embankment is a pedestrian promenade in front of the hospital. In common with other Bazalgatte works, the embankment is adorned with sturgeon lamp standards to the designs of George Vulliamy. The southern limit of Bazalgattes embankment was opposite Tinworth Street, where the road away from the riverside. The stretch south of Tinworth Street was occupied by industrial and wharf premises until World War II and these areas have subsequently been redeveloped as offices, with extensions to the embankment being constructed to a more utilitarian design than the Bazalgatte/Vulliamy stretch. Public pedestrian access to this newer embankment between Lambeth Bridge and the road stretch of Albert Embankment was only secured in the 1990s. Parts of this section of the embankment have a provisional appearance, encroachment of the tidal river bed habitat is contrary to the current planning policies of Lambeth. Albert Embankment is the given to the part of the A3036 road between Vauxhall Bridge and Lambeth Bridge, where it adjoins Lambeth Palace Road and Lambeth Road. In the Thames opposite is Londons only river fire station, home to two fireboats, list of eponymous roads in London Winchester, Clarence, ed. Londons Riverside Highways. Wonders of World Engineering, Epics of Conquest in Story and Picture, describes the construction of the Victoria and Albert Embankments. Vauxhall Gardens /ˈvɒksɔːl/ was a pleasure garden in Kennington on the south bank of the River Thames and accessed by boat from London until the erection of Vauxhall Bridge in the 1810s. 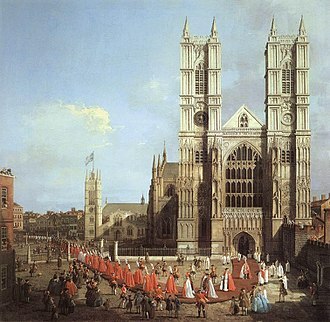 The wider area was absorbed into the metropolis as the city expanded in the early to mid-19th century and it was one of the leading venues for public entertainment in London, from the mid-17th century to the mid-19th century. 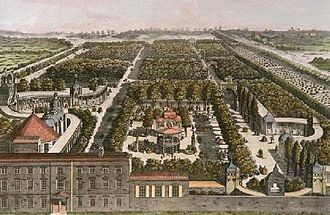 Originally known as New Spring Gardens, the site is believed to have opened before the Restoration of 1660, the Gardens consisted of several acres of trees and shrubs with attractive walks. Initially entrance was free, with food and drink being sold to support the venture, the site became Vauxhall Gardens in 1785 and admission was charged for its many attractions. The Gardens drew all manner of people and supported enormous crowds, tightrope walkers, hot-air balloon ascents and fireworks provided entertainment. 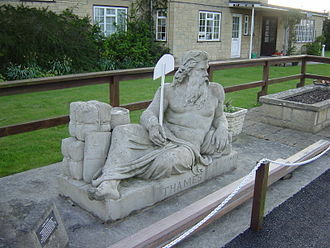 A statue depicting George Frederic Handel, erected in the Gardens, in 1817 the Battle of Waterloo was re-enacted, with 1,000 soldiers participating. It closed in 1840 after its owners suffered bankruptcy, but re-opened in 1841 and it changed hands in 1842, and was permanently closed in 1859. The land was redeveloped in the decades, but slum clearance in the late 20th century saw part of the original site opened up as a public park. This was initially called Spring Gardens and renamed in 2012 as Vauxhall Pleasure Gardens and it is managed as a public park by the London Borough of Lambeth. Vauxhall Gardens is depicted in a tile motif at Vauxhall tube station, eminent 18th-century scholar John Barrell, writing in the Times Literary Supplement, brings out Vauxhalls significance. Vauxhall pleasure gardens, on the bank of the Thames. 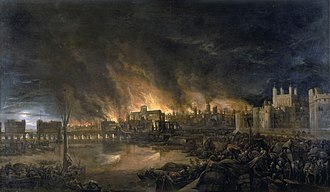 References to Vauxhall are, for 150 years, as ubiquitous as references to Broadway would be, the Gardens are believed to have opened just before the Restoration of 1660, on property formerly owned by Jane Fauxe, or Vaux, widow, in 1615. Jane is stated to be the widow of John, a vintner, perhaps the earliest record is Samuel Pepys description of a visit he made to the New Spring Gardens on 29 May 1662. Albert Embankment, including the SIS Building (right), pictured from Millbank in 2008. Sturgeon lamp standards line the embankment.